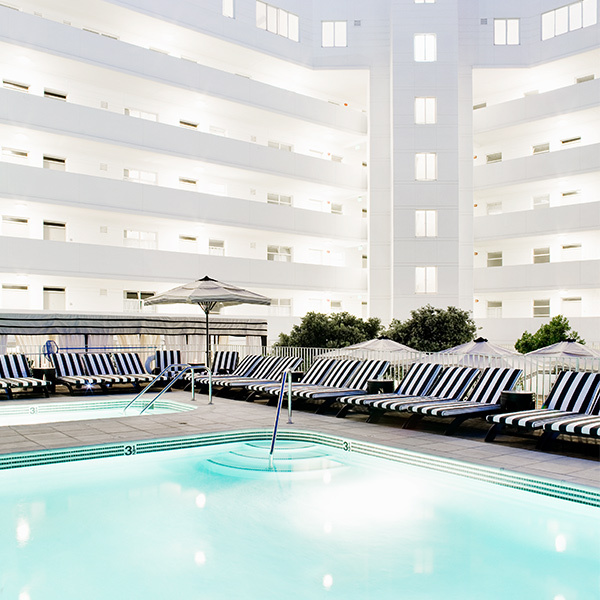 Drawing inspiration from the historic Queen Mary’s pool deck, the chic Art Deco Hotel Shangri-La features a heated pool, elegantly striped chaise lounges, chic cabanas, lush greenery, tiered teakwood decks and a private bar. Share the Tower of Fries with friends while sipping an Onyx Mojito, or pair the hotel’s gin and cucumber cocktail, London Calling, with the Knickerbocker Glory ice cream sundae. The oceanfront pool at the boutique-style JW Marriott Le Merigot was renovated this summer and features brand-new amenities for guests to enjoy, such as access to the sauna and steam room at Spa Le Merigot. Wash down the house favorite fish tacos with a hand-crafted smoky margarita, the Top Shelf Marge, while watching the sun set over the Pacific from the comfort of your chaise. 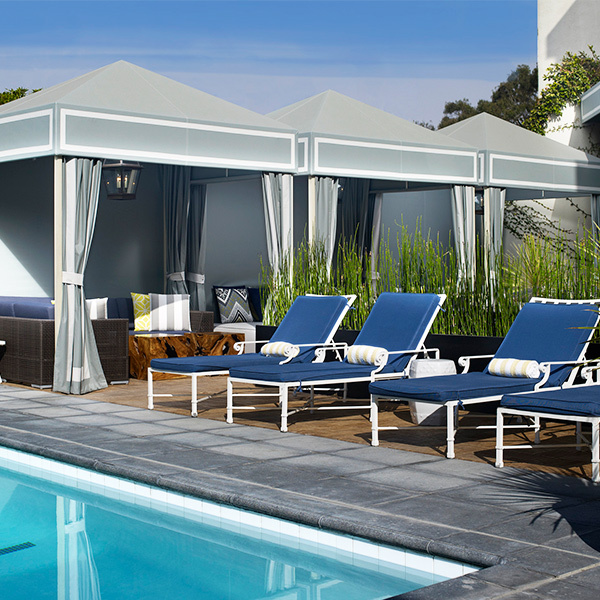 The intimate pool at Le Méridien Delfina Santa Monica is nestled in a cozy courtyard, complete with a fire pit and three curtained cabanas that can be reserved in advance for guests seeking privacy. Hungry? Order sea scallops and truffle fries, along with a Stoli-infused Santa Monica Lemonade, off the menu at Longitude Bar + Restaurant, which is adjacent to the pool. 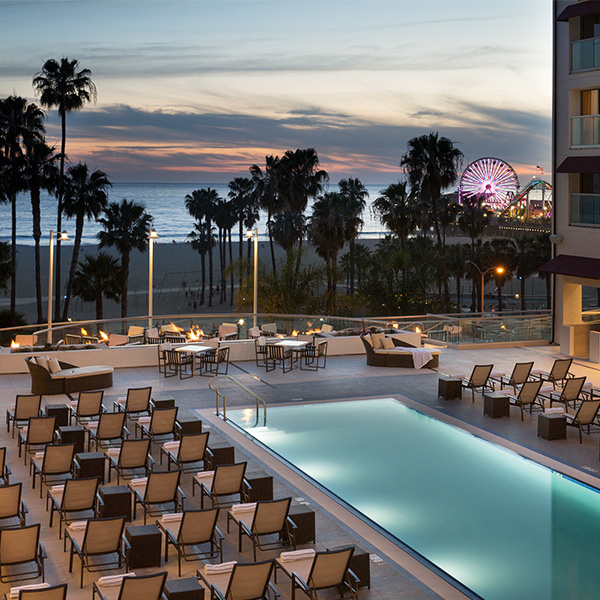 With 13 fire pits surrounding the oceanfront pool deck at Loews Santa Monica Beach Hotel, there is virtually no better place to watch the sun set with family and friends. 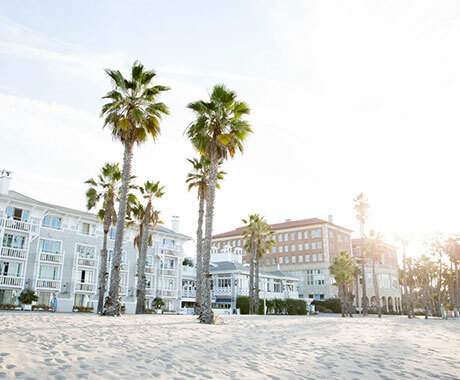 The hotel’s new restaurant, BarBelle, offers poolside service, with signature items like the BarBelle Burger and “Locals Only” cocktail, while the poolside family-friendly sweets shop, Beach Barn, serves up caramel banana gelato from local Black Market Gelato & Sorbet. 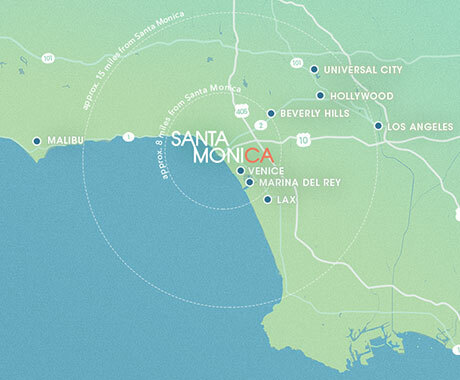 The iconic bean-shaped pool is located in the center of the Oceana, providing easy access for hotel guests. The complete menu from the hotel’s restaurant, Tower 8, is available poolside, so visitors can enjoy tuna tartar while seated at a table, lounging in a chaise or relaxing in a shaded pod. The outdoor fireplace and heat lamps keep guests comfortable, even during the mild winter months. 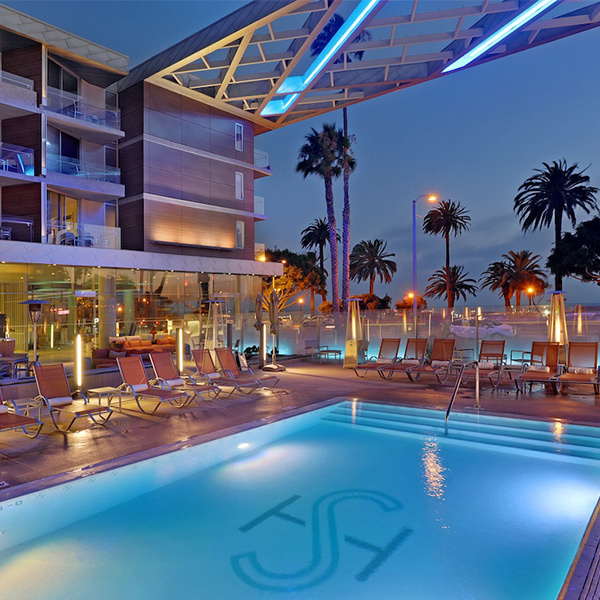 Located on the famed Ocean Avenue directly across from Palisades Park and the Santa Monica Pier, the solar-heated pool at Shore Hotel offers spectacular views, especially at sunset. 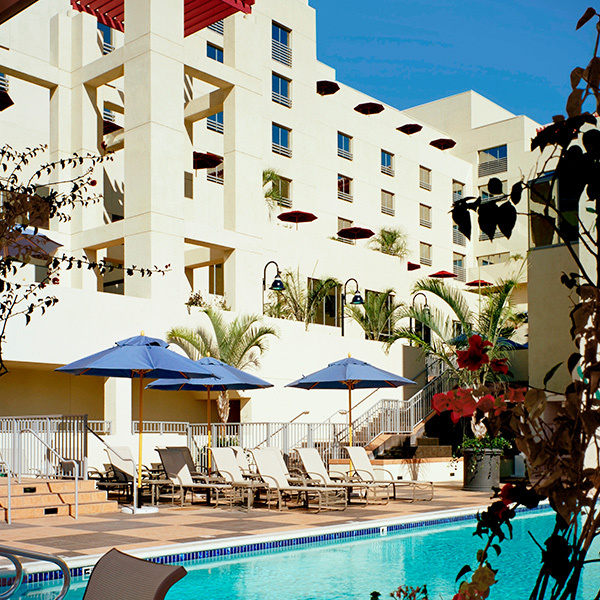 Splash in the pool or soak in the soothing hot tub while people watching the passersby on Ocean Avenue. Order the mahi-mahi tacos or salmon avocado salad to fully appreciate the organic herbs grown in the hotel’s sustainable outdoor garden.